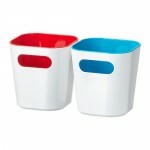 A practical solution for storing items of different sizes or sorting trash. Use tags to sign the contents of the container. So find the right thing will be easier. The containers slide out smoothly and, thanks to the stoppers, are fixed when opening. It can also be used in the bathroom and other rooms with a high level of humidity. 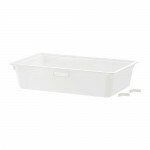 Can be used in floor and wall storage solutions for the ALGOT series. If necessary, you can rearrange. Use tags to sign the contents of the container. So find the right thing will be easier. It can also be used in the bathroom and other rooms with a high level of humidity. 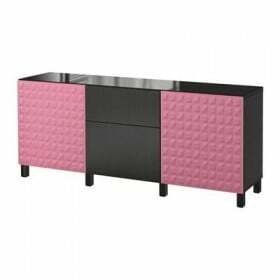 Can be used in floor and wall storage solutions for the ALGOT series. If necessary, you can rearrange. A practical solution for storing items of different sizes or sorting trash. The containers slide out smoothly and, thanks to the stoppers, are fixed when opening. 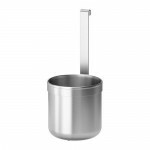 It is easy to reach and move even small children thanks to ordinary and telescopic handles. Everything you need for the convenience of a little traveler - 2 open pockets, 2 zip pockets, a pen and a telescopic pen and, of course, wheels. 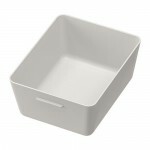 Easy to keep clean; rounded corners. 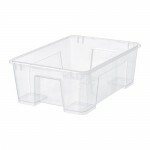 These containers will provide convenient storage of toothbrushes, toothpaste and combs on the sink. You can store sports equipment, garden tools or accessories for cleaning. Stacked, saving space when not using containers. 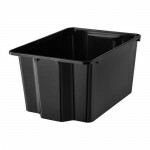 The container is convenient to lift and carry thanks to the integrated handles. 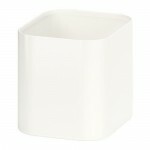 Ideal for storing, for example, spices; frees up space on the tabletop. Transparent cover provides an overview of the contents. Thanks to magnets, containers can easily be placed on any metal surface, except for the GRUNDTAL magnetic stripe for knives. It is convenient to store products. 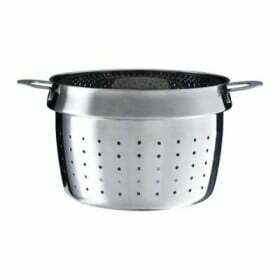 Ideally inserted into colander GRUNDVATTNET and allows you to divide different products. Convenient to push thanks to the handle. 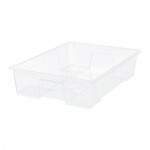 Roomy storage box for clothes, toys and accessories. 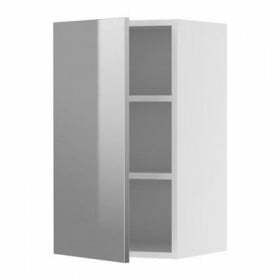 Suitable for ECET cabinets 35 depth cm and other furniture for storage with shelves not less than 30 depth cm. 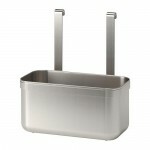 Allows you to make space on the tabletop, while kitchen utensils are always at hand. Can be hung on the KUNGS FORS railing. It can also be used in rooms with high humidity. 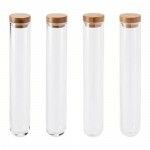 The transparent material from which the container is made allows you to see the contents no matter where it stands. 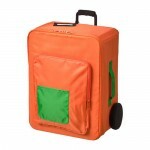 Suitable for storing various foods of ham, cheese, etc. until finished portions. Several empty containers can be stacked one to another to save storage space. 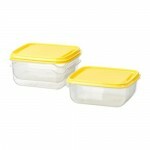 Several containers can be stacked on top of each other to save space in the refrigerator and cabinets. 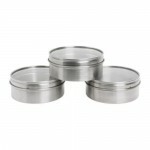 The sealed lid prevents leakage and preserves the taste and aroma of the contents. 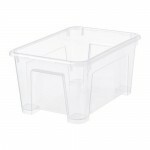 Due to the rounded bottom, the contents do not stick to the inner surface of the container. 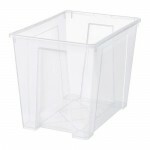 Transparent plastic allows you to see the contents and not waste time searching for the right thing. Keep various trifles in boxes. This will ensure order, and find the right thing will be easier. 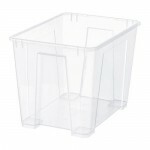 Transparent plastic allows you to see the contents and not waste time searching for the right thing. You can store sports equipment, garden tools or accessories for cleaning. Transparent plastic allows you to see the contents and not waste time searching for the right thing. 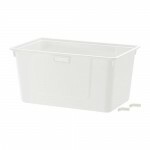 It is convenient to store seasonal clothes and shoes, sports equipment, garden tools and cleaning products in this container. Can be used as extra storage under the bed. 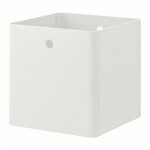 It is convenient to store seasonal clothes and shoes, sports equipment, garden tools and cleaning products in this container. Transparent plastic allows you to see the contents and not waste time searching for the right thing. Easy to move thanks to the wheels. 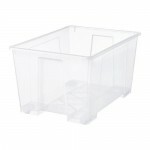 It is convenient to store seasonal clothes and shoes, sports equipment, garden tools and cleaning products in this container. 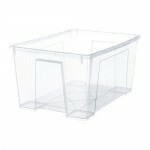 Transparent plastic allows you to see the contents and not waste time searching for the right thing. Easy to install and move - no tools required. 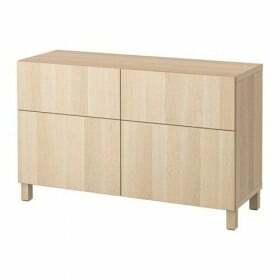 Convenient to store pencils, toothbrushes or coins.